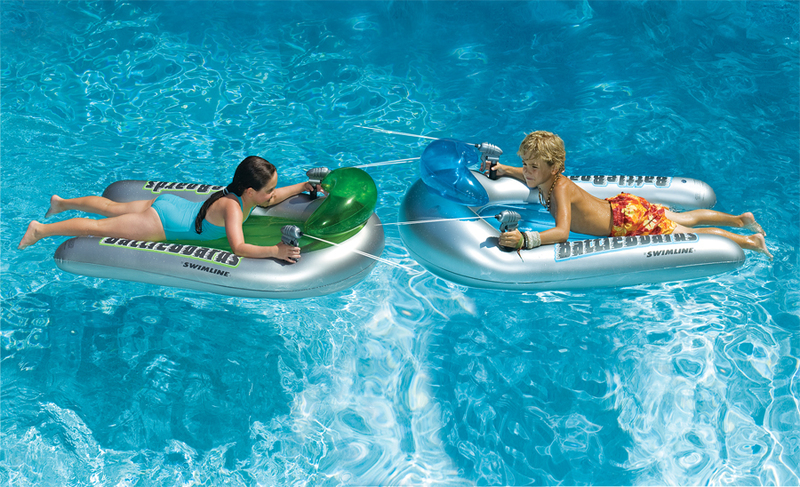 This unique Swimline Battle Board Squirter Set allows your kids to float comfortably on the water while waging some imaginary warfare on the high seas -- or at least your backyard pool! The set comes with two of the inflatable battle boards that contain two built-in water guns that feature constant water streaming. 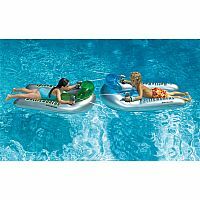 This unique Swimline Battle Board Squirter Set allows your kids to float comfortably on the water while waging some imaginary warfare on the high seas -- or at least your backyard pool! The set comes with two of the inflatable battle boards that contain two built-in water guns that feature constant water streaming.